Download the latest Standard Chartered Mobile Banking App today. Don’t have Standard Chartered Online Banking access? Apply online now. Terms and conditions apply. Please click here for the full terms and conditions for the use of the Standard Chartered touch login service. FAQs for Touch Login Service on Standard Chartered Mobile. 1. What is a Touch Login Service? 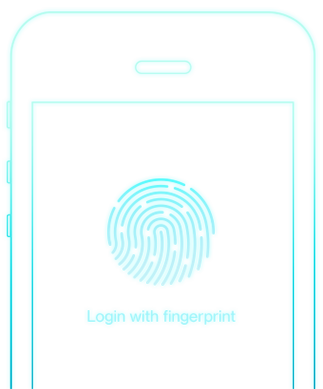 If you are an iPhone or Android phone user, fingerprint login is now available. This is available on select device only. 2. Do I need to register for this Touch Login service? 3. Is this feature available on Android App? Yes. But on select Samsung Devices only. 4. Is this feature available on IOS App? Yes. On select Apple Devices with ISO version 9.0 & above. 5. Can I login immediately after registration? Yes. You can immediately login using fingerprint after successful registration. 6. Can I disable for this service? Yes. You can disable this service from Left menu of Standard Chartered Mobile. This menu is available in pre & post login as well. 7. Can I transact using Touch Login service? No. I can only login with Touch Login Service. For transaction, existing 2nd factor of authentication will be used. 8. What if I do not have supported device / OS version for touch login? In such case, you can still download application but touch login service will not be available for such customers and you can login by entering user id & password. 9. What if I have not setup finger print at all? Standard Chartered Mobile App will prompt you set fingerprint on device if you click on touch login icon. 10. What if I have multiple finger prints registered on my device? 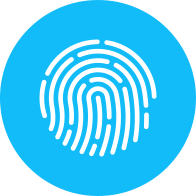 Standard Chartered Mobile App will accept all fingerprints available on device before Touch login service registration and allow you to login with all fingerprints available on device. 11. What if I add one or more fingerprint(s) on device? Standard Chartered Mobile App will automatically disable your Touch Login feature on existing application and when you try to login with touch login then application will suggest you to re-register for touch login feature. 12. What if I remove one or more fingerprint(s) from device? In such case, Standard Chartered Mobile App will automatically disable the Touch Login feature for your existing application and when you try to login with touch login then application will suggest you to re-register for touch login feature. 13. What if another customer logins on my touch login enable application? In such case, Standard Chartered Mobile App will automatically disable the Touch Login feature on your existing application and when you try to login with touch login then application will suggest you to re-register for touch login feature. 14. How many devices I can register for touch login service? List of supported devices for Touch Login. Please note that Standard Chartered Mobile Touch Login feature will work on following touch id / Fingerprint enabled devices only. For any device outside this list, this service may not be available.